When you are ready to launch your volunteer program, the first step is to invite your volunteers to the Volunteer by EverTrue platform. 1. Log into the EverTrue Platform and navigate to the Volunteers tab on the left side menu. 2. 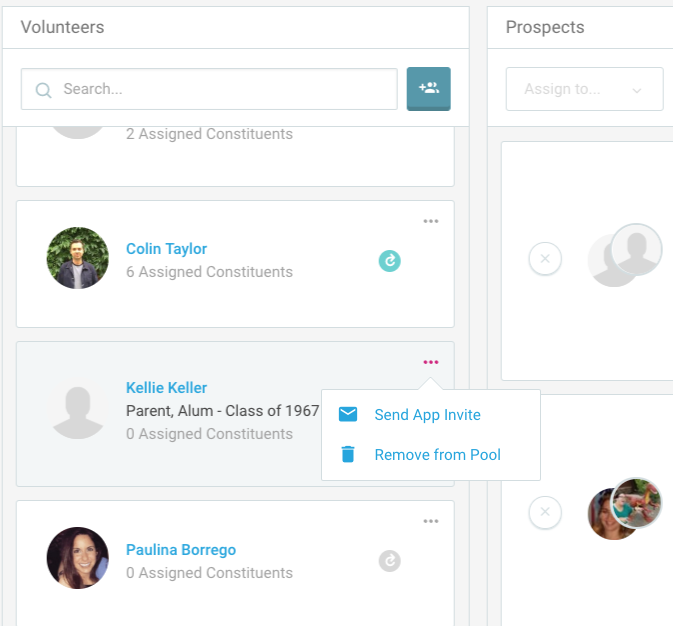 Click on one of your Pools, and once inside you'll see a list of your volunteers. Next to each volunteer's name there will be one of three symbols. 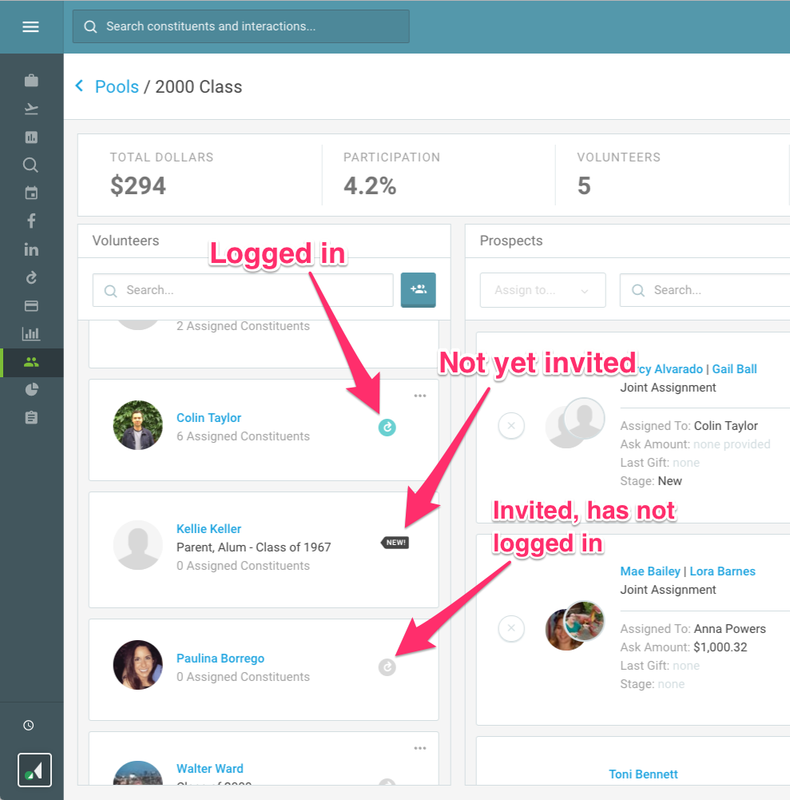 New -- This means the user has not yet been invited to the Volunteer by EverTrue platform. Grey Circle Arrow -- This means that the volunteer has been sent an invitation but they have not accepted it yet, i.e. they have not logged in. Teal Circle Arrow -- This means that the volunteer has successfully logged into the Volunteer platform. 3. For users who have not yet been invited, select the three dots in the top-right corner of the volunteer card. You will see the option to then invite the volunteer ("Send App Invite"). 4. You will then have the option to choose which email to send the invitation to. You can select either the primary email listed on the constituent's record or type in a different email. Please keep in mind that the email you use will need to be an email that the volunteer has access to currently. Additionally, if the volunteer is already an Alumni Community user for your institution, they will need to use that same email to access Volunteer by EverTrue. Want to send bulk invitations? Learn how here. Note: Volunteer Invitations are valid for 3 days. After that period of time, you will need to resend the invitation to the user if they have not authenticated.